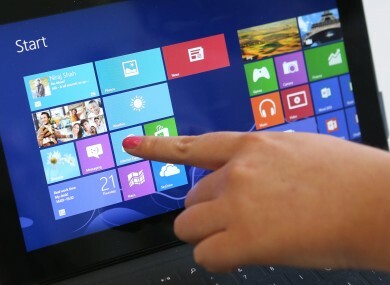 The security flaw allowed the hackers to access any version of Windows for PC or server. HACKERS BASED IN Russia used a flaw in Microsoft Windows to spy on NATO, European governments and other organizations as far back as 2009, security researchers said Tuesday. A report by the cybersecurity firm iSight Partners said the flaw dubbed “Sandworm” allowed the cyber spies to gain access to computers using all versions of Windows for PCs and servers during the past five years. The researchers said Microsoft was notified of the vulnerability and was making a patch available on Tuesday. The report said the team exploiting this flaw began operating in 2009, and stepped up its efforts in late 2013, as the crisis in Ukraine broke out. “We immediately notified targeted entities, our clients across multiple government and private sector domains and began working with Microsoft to track this campaign and develop a patch to the zero-day vulnerability,” iSight added. It noted that NATO was targeted as early as December 2013, and that other attacks hit a Polish energy firm and French telecommunications company. The cyberspying effort was referred to as Quedach by the security firm F-Secure, which described some elements of the campaign last month “but only captured a small component of the activities” and failed to identify use of the security flaw, according to iSight. Email “Windows flaw allowed Russian hackers to spy on NATO”. Feedback on “Windows flaw allowed Russian hackers to spy on NATO”.